The Best of SLO NightWriters in Tolosa Press are available for purchase at www.amazon.com ($14.95) or at the monthly SLO NW general meeting. The cost is $10.00 for sales at the door. 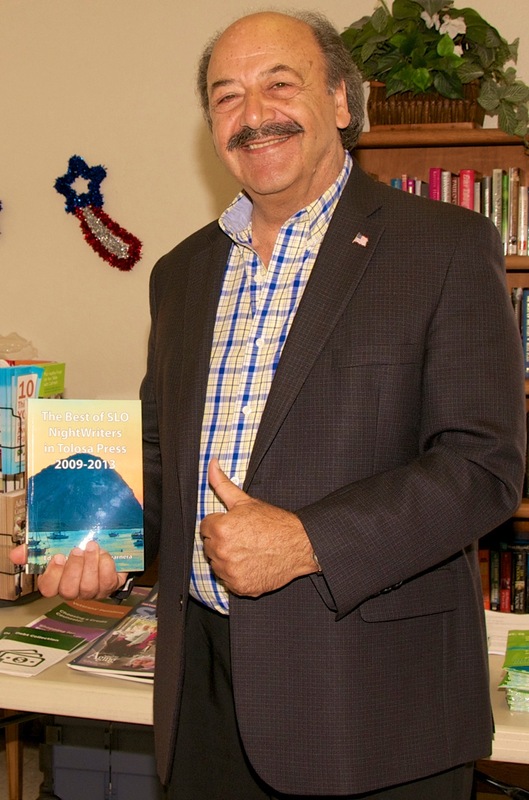 Pick up a copy at Volumes of Pleasure in Los Osos, Coalesce Bookstore in Morro Bay or order directly from Amazon. SLO NightWriters proudly presented its first anthology, The Best of SLO NightWriters in Tolosa Press 2009-2013. The work featured therein is a collection of the best of the columns published in the Tolosa Press newspapers over a five-year period. Anthologies are available at Coalesce Book Store in Morro Bay, Volumes of Pleasure Bookshoppe in Los Osos and through amazon.com. FIREWORKS happened when SLO NightWriters joined forces with Tolosa Press. 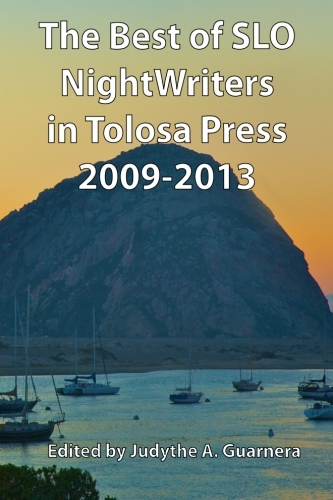 Prepare to laugh, cry, be surprised and thrilled by the essays, short fiction, and memoir featured in The Best of SLO NightWriters in Tolosa Press 2009-2013. Settle back with your favorite beverage - the California Central Coast is noted for its fine wine - and enjoy! Once you start reading, you won’t be able to stop. “Finally, even this touch is not enough and I pull the shaking shoulders into a hug, soaking up a young male scent that reminds me of a freshly shampooed puppy. "It's okay," I say, needing somehow - in this moment - to comfort him. There will be time for my grief later.